Sea To Summit provides a half day tour just for the Columbia River Gorge. Take in the waterfalls, the historic highway, Chanticleer Viewpoint, the Vista House and more. This is a great tour for people who are not from the area, people who rather take photos than drive or for those who want to kick back, relax and just enjoy the scenery. These tours are very informative and have a large range of dates to choose from so you can enjoy it on a day that works best for you. Read Sea To Summit's description of their Columbia River Gorge Tour below. Sea to Summit’s Columbia River Gorge Waterfalls Tour takes you along the Historic Columbia River Gorge Highway, built in 1912-1914. Visit scenic Chanticleer viewpoint, Crown Point and the Vista House, all with incredible views of the Columbia River Gorge. Learn the history and unique geographical features that created and surround this designated national Scenic Area. Tour and explore numerous waterfalls, including Latourell Falls, Bridal Veil Falls, Wahkeena Falls, Horsetail Falls and the breathtaking 620ft Multnomah Falls. Sea to Summit’s magnificent Columbia River Gorge Tours are not complete without a visit to the Bonneville Dam, Columbia River Salmon ladders, Oregon’s largest fish hatchery and Sturgeon Research Center. 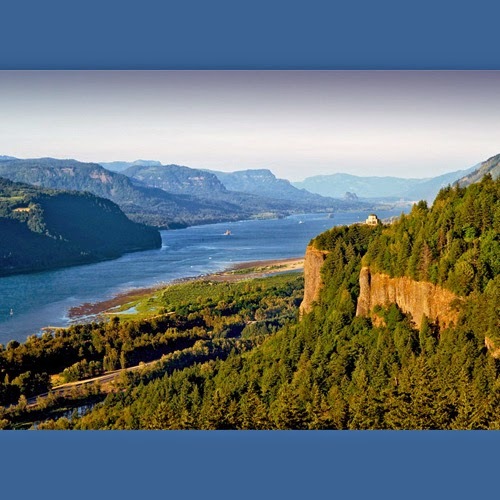 Our Columbia River Gorge Tours are historically and geographically informative and very scenic! So please make sure to bring a camera on this incredible, short but sweet, 1/2 day Sea to Summit tour!